Our Bombay Malt and Cigar gents began as staunchly preferring Scottish Single Malts. And while one could explore for years and years and still be scratching the surface of Scottish expressions, it is nice to veer in a different direction too. Hence our host’s theme of Japanese whiskies. He admitted that he’s a bit “late” to the Japanese craze and somewhat aghast at the prices for such drams. However curiosity plus a few duty free stops lead to acquiring a quartet of two blends and two single malts, covering a range from Japan’s two most popular whisky companies – Suntory and Nikka. 1st up was Hibiki from Suntory – a blend of their single malts Yamazaki and Hakushu together with their grain Chita. What did the gents think? We set it aside and revisited after finishing our sampling of all four whiskies. What did we find? Overall we pronounced it a “happy” drinking whisky. Not complex, but it doesn’t need to be. A perfect “starter” whisky for those who are new to the world of whisky and curious to try something from Japan. Translation – what we would serve at parties if just happened to have an open bottle and not be terribly upset if it is emptied by the end of the evening. I’ve had several trysts with Hibiki – its earlier 12 and 17 year incarnations, part of a blind tasting with our original club when the NAS expression 1st launched years ago plus a rather nice chocolate pairing with the Whisky Ladies. Which means this particular expression has graced all three Mumbai based whisky tasting clubs. I once even attempted to create my own version of Hibiki bringing together a few drops of an older Yamazaki with the Hakushu 18 year and Chita 12 year. While not disastrous, I’m clearly no master blender! And what else did we sample in our Japanese jaunt? What to do when you discover a common thread in standard duty-free offerings? Coin a new term! In our case, none were “nasty” merely “NASpy.” Confused? Read on…. Auchentoshan is known for its lighter whiskies, triple distilled in the Lowlands. Their Heartwood combines ex-bourbon and ex-sherry Olorosso casks. Overall quite fruity – particularly pear – sweet, light and a dash of other elements. In short, we found it not unpleasant though entirely innocuous. 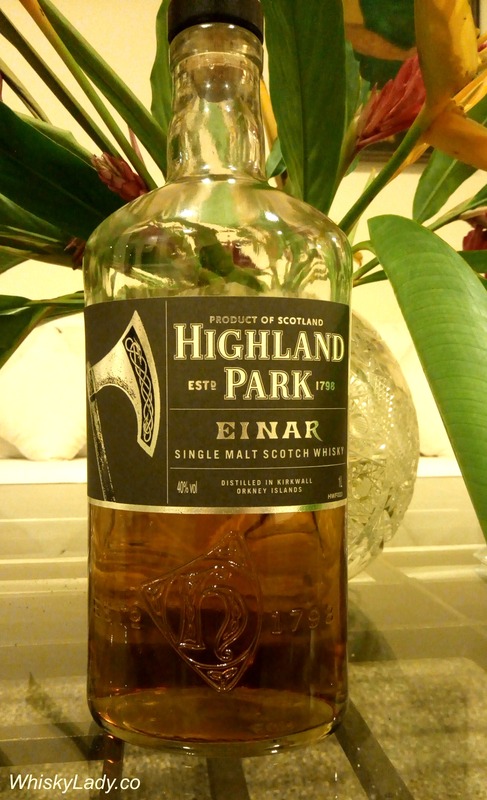 Between this and the Highland Park Einar we sampled next, we coined a category of whisky where one could say “You know, it just simply is rather NASPy.” Referring to a generic travel retail breed of No Age Statement palates that aren’t awful but are certainly not awesome either… in other words something that may be acceptable for parties but not a whisky we would deliberately buy. 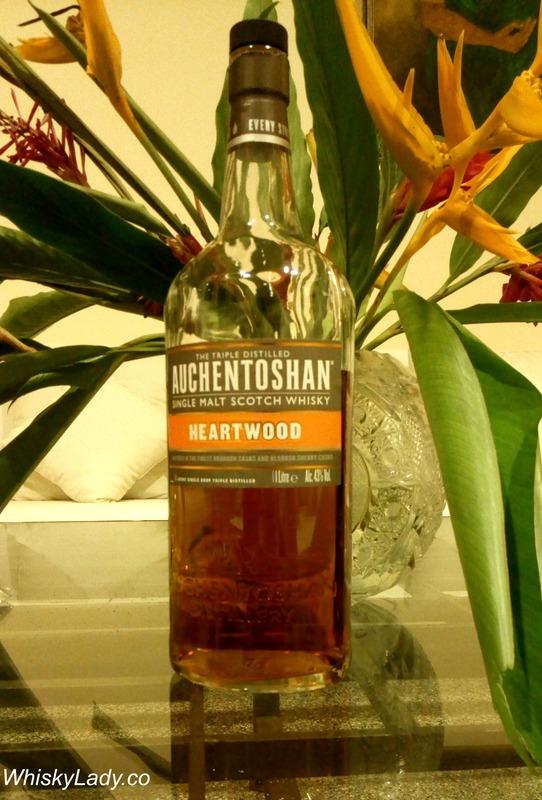 No other tasting notes… so for your amusement, I suggest you check out what the Whisky Wafflers have to say about Auchentoshan’s Heatwood. I sampled it initially from a freshly opened bottle in a social context in August, then later from a mini sample with friends in September 2017. Curious about other Auchentoshan whiskies sampled? Our Whisky Ladies September 2017 Sunday Sundowner began with a Mortlach. Til date, most Mortlach’s I’ve sampled were independent bottles such as the Scotch Malt Whisky Society’s 76.131 “Totally Tastylicious” or two Gordon & MacPhail offerings – the 15 year and 37 year. All of these were simply superb! However this was my very first official bottling – picked up by one of our Whisky Ladies from Duty Free. What did we find? Palate – Surprising after such a subtle nose, it initially hits with alcohol on the palate, then continues in the fruity vein with apricot. The next sip was quite woody on the edge of being harsh. Further sips did not reveal anything significant. This is one that absolutely smell sweeter and more nuanced than it tastes. It also falls into the category of NAS fare (since dubbed “NASPy“) which has nothing specifically very wrong, but also limited distinguishing features to make you stand up and pay attention. If I was to be perfectly honest – it disappointed. 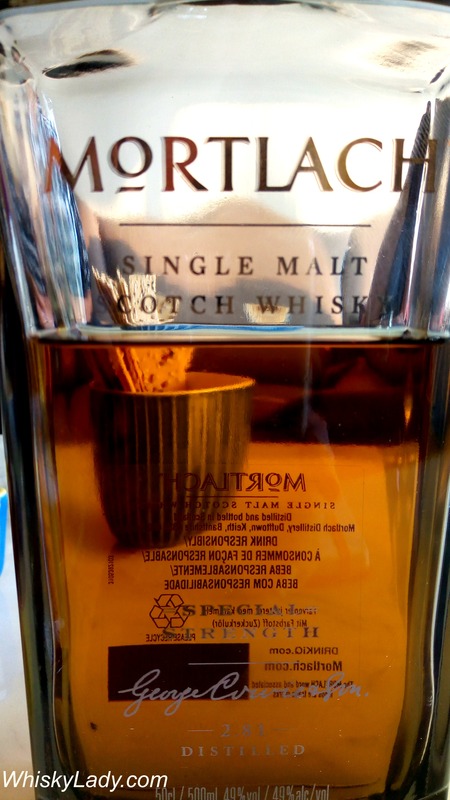 Simply as it is quite different than earlier Mortlach’s sampled which truly did live up to labels like “Totally Tastylicious” or the full-bodied, meaty and multi-layered Gordon & MacPhails. So what do the Mortlach folks have to say on the box about this whisky? A clear amber colour introduces complex aromas of ripe red apple and berry fruit underpinned by a supply savouriness. Which all evolves as a rich ice cream sweetness, with creamy vanilla on the intense palate fresh blueberries and black cherries soon meet sweet, smooth honey. Then savoury spices and late wood. The finish is long and richly rounded. What else did we sample in our Whisky Ladies “Worthy Whiskies” Sunday Sundowner? 1st in our Bowmore travel trilogy was an NAS whisky we sampled a few months earlier – Black Rock. 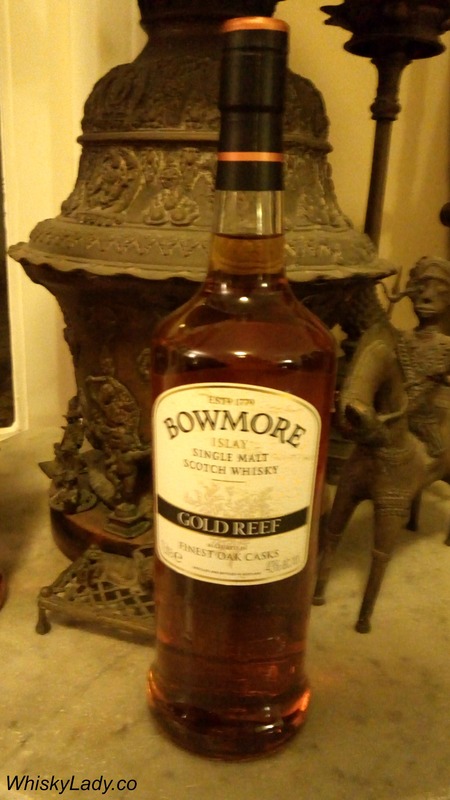 The original bottle helped inspire the Bowmore Travel Trilogy theme… as one of our ladies happened to acquire it at the same time I picked up the White Sands. However when another whisky lady picked up the very same one, it gave us an opportunity to try it in one of our “Contributor’s Choice” evenings a little earlier and revisit it side-by-side with two other Bowmores – what fun! And what did the Whisky Ladies think the 2nd time around? Overall a simple straight forward whisky. We found the nose more exciting than the palate. Easy to drink though some found it a little sweet. How did this contrast with our earlier tasting experience? 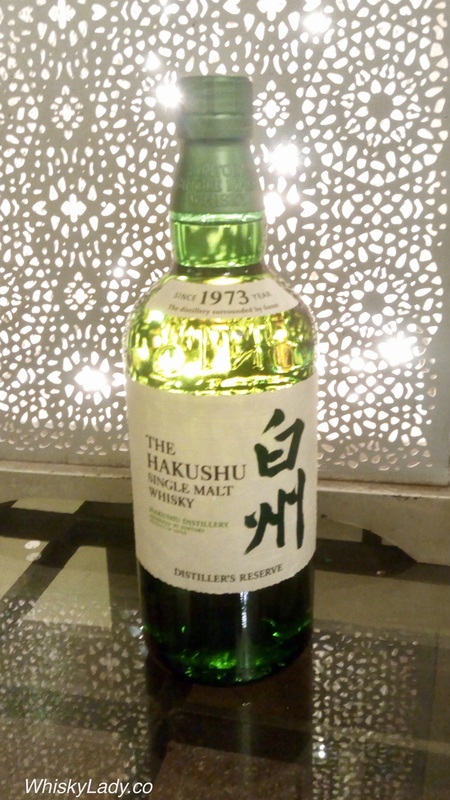 Once upon a time, the Hakushu 18 year was a favourite – an excellent example of exquisite balance with complexity and a touch of smoke to make it interesting. Then the price rose to ridiculous levels and availability went from challenging to near impossible. With our original group, we taste blind, so our experience is influenced only by our reactions not any other element… hence we had no clue we were about to experience a Hakushu NAS avatar picked up in Japan. 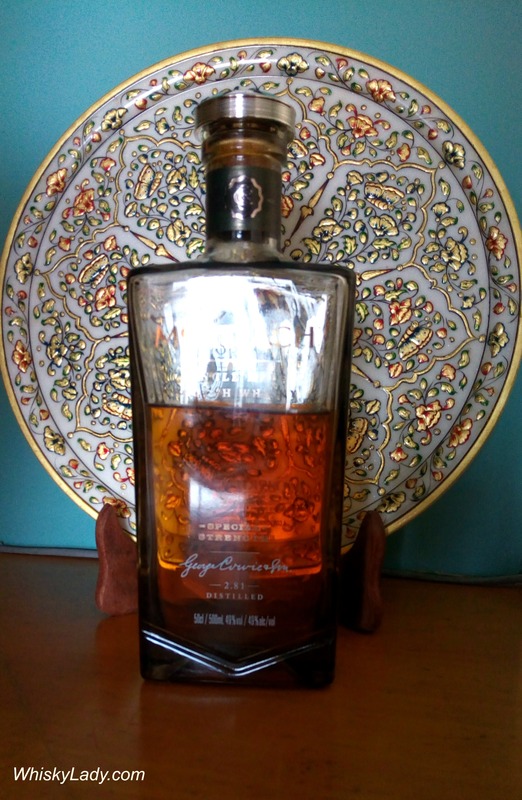 Overall we found this an exceedingly ‘friendly’ whisky, absolutely no harshness, very smooth. Light, uncomplicated, enjoyable in its way. Speculation ran against it being Scottish and Japan was mentioned but it didn’t quite fit the profile of familiar offerings. We found it quite ‘youthful’ and possibly matured in white oak barrels. And the reveal… Hakushu?!? Where was the light dancing peat? The complexity? Has the Japanese whisky ‘bubble’ burst? Has the price surpassed quality? While still ‘well constructed’ where is the ‘soul’ that tipped the whisky from being ordinary to extraordinary? 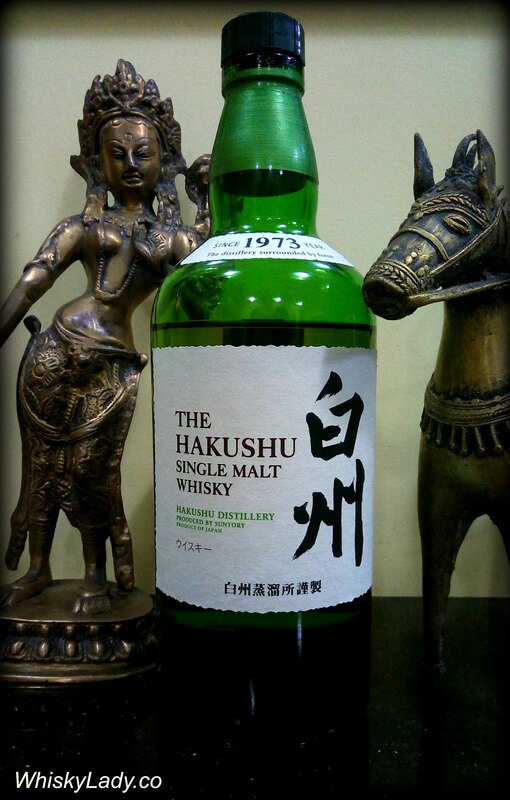 Just to compare, what do the folks over at Suntory have to say about this Hakushu? Can’t argue with most except the smoke… clearly it was too subtle for us! Last in our original Mumbai whisky tasting group‘s October session was a no age statement Glenlivet. Glenlivet is a global leader in single malt. They know scale. They know what the masses want. 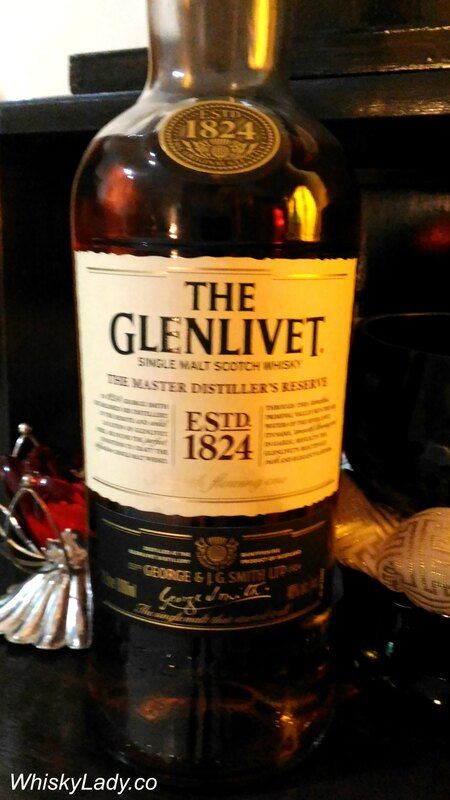 You will find Glenlivet practically everywhere. And generally at fairly reasonable prices too. We found it quite light, again expected it would be 40% and while there was nothing specifically ‘wrong’ there was nothing that stood out as fabulously ‘right’ either. The sense of being ‘green’ or young was clear and overall quite smooth. If anything, it was nice yet, well, rather bland. Created for travel retail, it certainly wouldn’t be for anyone on a quest for something ‘different’ however it is sufficiently light and simple, you won’t realize when your glass is empty. The distillery shares it is triple cask matured in first fill American and ex-sherry oak. What all did we try in our October session? After more than five years, our original Mumbai whisky tasting group has become known for pushing the boundaries with a focus on discovering new and different whiskies. We’ve had home-made experiments with aging, phenomenal food pairings, independent bottlers, country specific themes, unique blends and more! Which meant it was high time to revisit slightly different avatars of well known whiskies, completely blind to avoid the influence of advertising and pre-conceived notions. 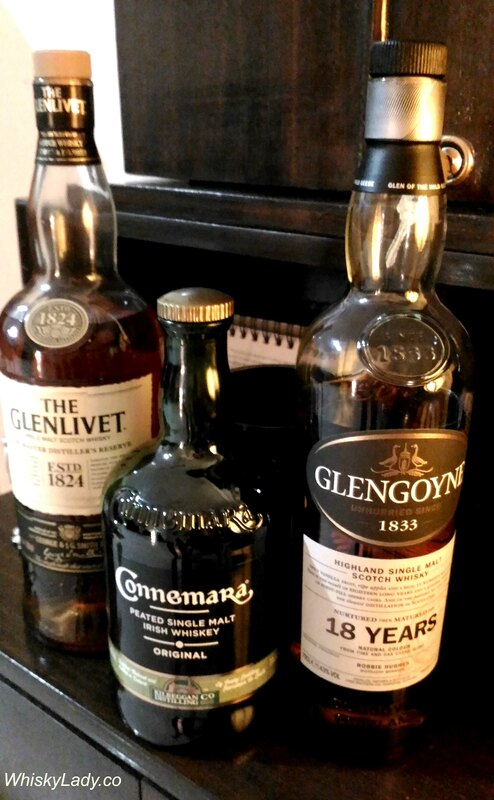 No strangers to these brands, we’ve even previously had a session focused on Glenlivet, a couple of Glengoynes over the years and most have separately sampled Connemara. Traditionally, we would start with the lightest (Glenlivet) then sherry (Glengoyne) and close with a peated whisky (Connemara). 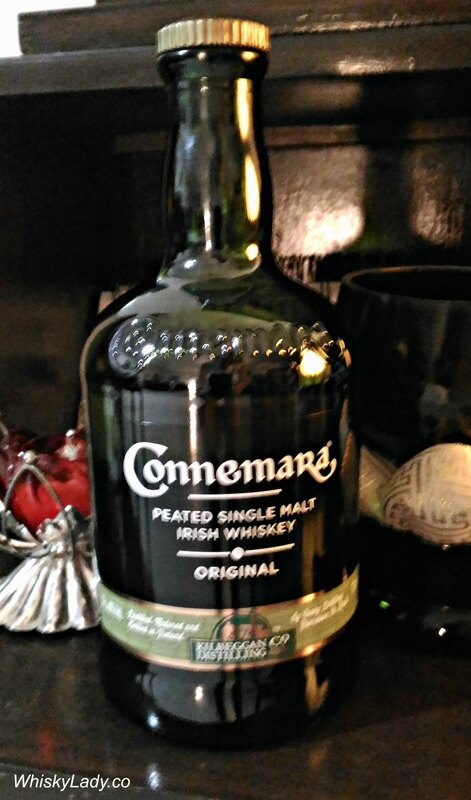 Here we did the exact opposite – peat, sherry, light! With some interesting results.